Instead of heralding “the end of history,” Sanders called on Americans to take the revolutions of 1989 as a model. But the former mayor wasn’t just cooling his heels. In an op-ed he wrote for The Harvard Crimson that month, Sanders wrote that watching the dramatic events unfolding abroad—“glasnost; perestroika; free speech; open parliamentary debate televised before millions of viewers; the beginning of organized political opposition to the Communist Party; mass strikes and demonstrations by workers and ethnic minorities; serious publications dealing honestly with the nation’s sordid history which had been covered up for decades by officials lies”—prompted him to consider the need for something similar to happen at home. Probably because his first name is given in the byline as Bernard, rather than Bernie, the piece has not resurfaced since Sanders announced his presidential campaign. That is unfortunate, because the article suggests a salient metaphor for what his campaign could mean for this country, and what our failure to take advantage of it might augur. Glasnost is usually translated into English as “openness,” but Sanders’s description of a collective, society-wide “soul searching” is much closer to the mark. While perestroika (“restructuring”) referred to a series of institutional political and economic transformations that Soviet leader Mikhail Gorbachev proposed in the late 1980s, glasnost became a signifier for the widespread loosening of censorship rules, travel restrictions, and government secrecy, which ultimately played a role in the end of the Cold War and of the Soviet Union. Without glasnost, Gorbachev believed, there could be no perestroika; without a popular outpouring of anger and dissent, the powerful and the privileged, those who profited from the status quo, would continue to block the thoroughgoing systemic reforms he had proposed. Similarly, Sanders acknowledges that the sweeping political changes necessary for making the United States a more just and equal nation are impossible—he is, indeed, that much-abused word, “unelectable”—without a groundswell of support among the marginalized and the disillusioned. 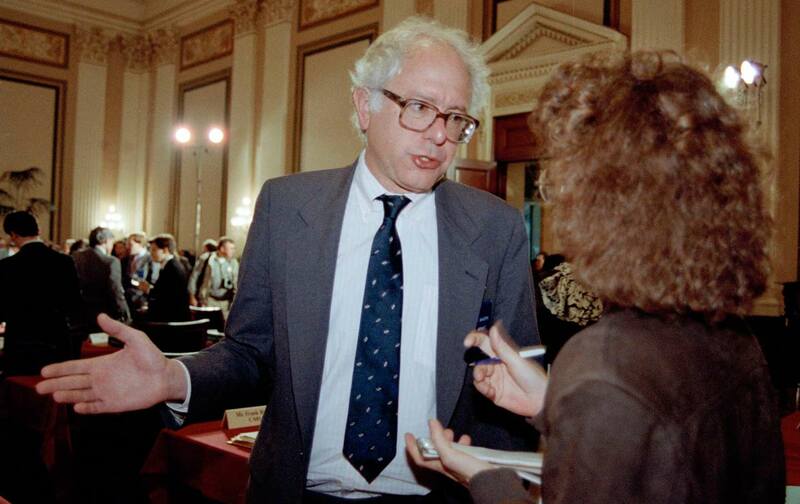 “In my view the time is now for a glasnost in the United States,” Sanders wrote. With increasing access to the outside world, Soviet citizens in the 1980s became aware of how profoundly their government was failing them. Throughout his campaign, Sanders has broken the taboo against politicians telling Americans how far they lag behind other developed countries in terms of providing education, healthcare, and employment benefits—indeed, in general satisfaction with life. Do we need radical changes in our economic system to provide a fairer distribution of wealth and economic decision-making? How do we create a real democracy in which the average citizen has the opportunity to vote in elections in which meaningful choices are presented? Further, how do we create a political climate in which citizens play an active role in the affairs of their community? Do we need a new political party in this country which represents the interests of working people, poor people, minorities, women, environmentalists, peace activists and all people who are not being adequately represented by the Democratic and Republican parties? How can we create a media in this country which allows for a wide diversity of viewpoints, when ownership of the media is currently in the hands of very wealthy and powerful corporations which are primarily concerned with protecting their own economic interests? With the not-insignificant exception of the third, these are the same questions that Sanders is raising today. To some extent, Bernie Sanders’s presidential campaign has already prompted the “soul searching” he called for more than a quarter-century ago. But if the glasnost he represents is not followed by the serious structural reforms he says we need, might our Union meet the same fate as the other?